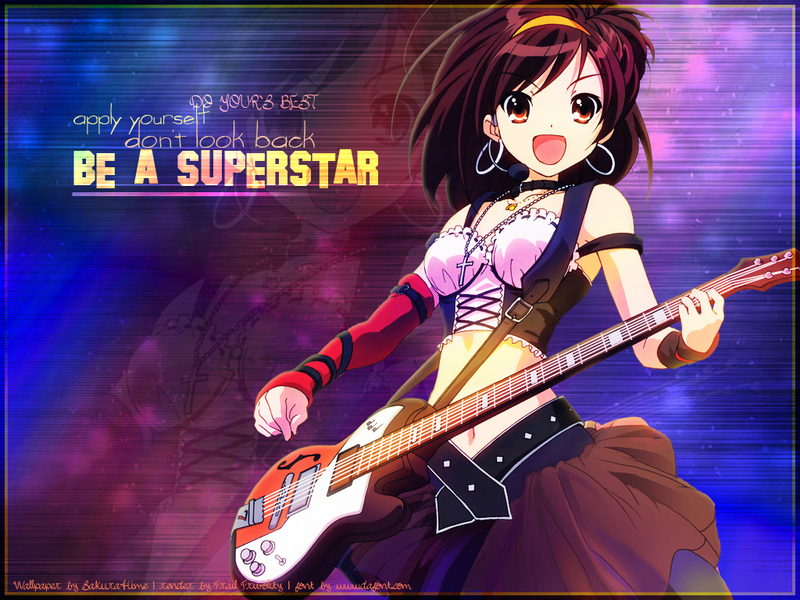 The Melancholy of Suzumiya Haruhi Wallpaper: Be a Superstar!! Minitokyo »	The Melancholy of Suzumiya Haruhi Wallpapers » The Melancholy of Suzumiya Haruhi Wallpaper: Be a Superstar!! Yes she is a SUPERSTAR! I really like how pretty looks haruki in this pic!